Two piece lined swag. 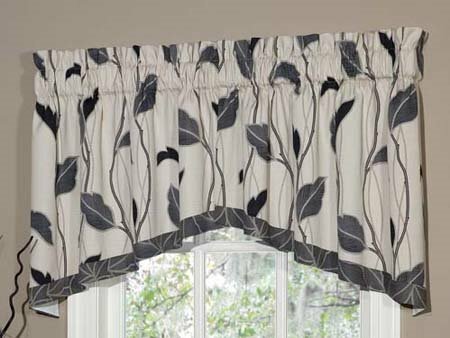 Vine and leaf print in shades of black and grey with touches of taupe with darker leaf print on the bottom. 84" x 24" plus 2" header. Fully lined. 3" rod pocket. By Thomasville Home Furnishings. Manufacturer UPC is 013864106757.